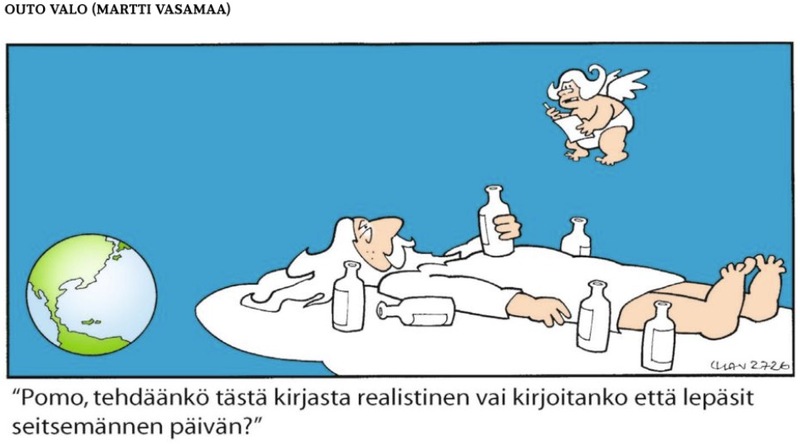 The banner in picture has text " Bodybuilding festival"
Second frame - car says : "That was Esko Makkonen"
The little angel asks : " Boss, should I make this book realistic or should I write that on seventh day you rested?" Last edited by Nuuska; 08-30-2018 at 08:44 AM. AH AH AH AH!!!!!! Awesome. I'm subscribing!